Another storm of protest is set to engulf Sweden’s second cull of endangered wolves tomorrow, which has seen 6 747 hunters register to kill 20 of the total Scandinavian wolf population of about 250. Stockholm, Sweden: Another storm of protest is set to engulf Sweden’s second cull of endangered wolves tomorrow, which has seen 6,747 hunters register to kill 20 of the total Scandinavian wolf population of about 250. WWF-Sweden was one of four Swedish nature conservation organisations to approach the European Union in March 2010, after a first cull of 27 wolves last year was justified on the basis that the hunt would create acceptance for the wolf in Sweden. “It is doubtful that the hunt has created acceptance for the wolf’s existence in Sweden” says Håkan Wirtén, CEO WWF-Sweden. Opinion surveys have shown that a majority of the Swedish people are already positive to the wolves in rural areas with the main opposition coming from hunters themselves using loose dogs and sheep farmers. In an exchange of letters which has intensified in the last month, the EU has put Sweden on notice that going ahead with tomorrow’s hunt could see the country hauled before the European Court for violating the Habitat’s Directive. 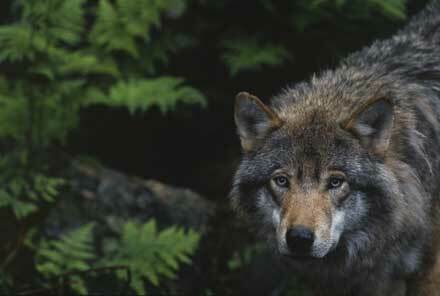 According to the correspondence between Janez Potočnik, the European Commissioner for Environment and Andreas Carlgren, the Swedish Minister of Environment, hunting of the wolf in the EU is strictly prohibited, with very narrowly defined exceptions not consistent with Sweden’s arbitrary limit for its wolf population. Potočnik also argues that the irregularities in Sweden setting up a semi-annual licenced hunt could set unfortunate precedents for protecting other endangered animals. Scandinavia’s wolf population is exceptionally vulnerable because of an extremely narrow genetic base, almost totally isolated from the wolves in Russian and Finland and founded on only three animals which migrated in to Sweden between 1983 and early 1990. Two more wolves with “fresh” blood established themselves in 2008, but the population is extremely inbred and needs new wolves from Finland and Russia rather than culling. The Swedish parliament decided in 2009 that there should be only 200 to 210 individual wolves in Sweden, despite being a large country with very high densities of prey. The country is also relatively sparsely populated compared to other countries in Europe which have wolves. Last year’s cull of 27 animals (28 were shot, one more than the set quota) started an outrage in Sweden which awoke groups who earlier have kept silence in the wolf debate. A majority of the Swedish population (even in the most dense hunter areas) are positive to the wolves. Contact: Tom Arnbom, Senior Conservation Officer, WWF Sweden.